Despite a critically acclaimed performance in Arrival, Amy Adams unfortunately won’t have another shot at taking home the statue at this year’s 2017 Oscars. The 42-year-old five-time Oscar nominee was left off of the tight Best Actress category that included Meryl Streep, Natalie Portman, Emma Stone, Isabelle Huppert and Ruth Negga. 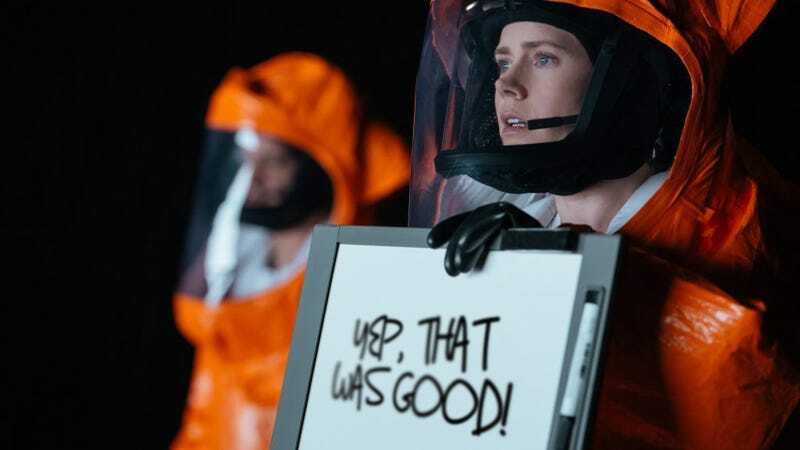 Despite her snub, Arrival did manage to score eight nominations, including Best Adapted Screenplay, Best Cinematography and Best Picture. Pictured: Amy all smiles while attending the SAG-AFTRA Foundation’s Conversations with Amy Adams panel event held at SAG-AFTRA Foundation Screening Room on Tuesday (January 24) in Los Angeles.